Take Your Leadership to the Next Level. With an associates degree from Trident University. Trident University’s fully online associates programs are designed for busy adult learners and leaders, like you. 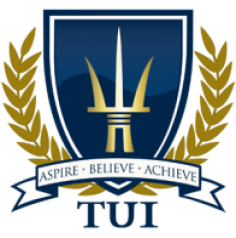 Take your leadership to the next level with an associates degree from Trident University International. Our fully online college degree programs were designed for adult learners and leaders just like you, with the goal of allowing convenience and scheduling flexibility for students with jobs and families. Our online associates degree programs require 60 semester credit hours for degree completion. Our curriculum includes a combination of general education courses, core courses specific to your area of study, and electives. You must have a high school diploma or equivalent to qualify for admission to our online associates degree programs. Meet Maie Lee, BSHS in Health Care Management. Read about Maie’s degree in BSHS.